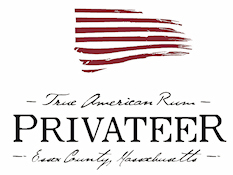 November 12, 2013 (New York, NY) – Rum For All’s newest member is Privateer Rum, an exceptional craft Rum produced in Ipswich, Massachusetts. Privateer begins with only the highest quality ingredients and yeasts in the world. Fermentation is long and cool in the tradition of great spirits. True American Amber ages in 53 gallon barrels, slowly, breathing in annual cycles in the Maritime climate of New England. Every batch is then cask-finish in used whiskey and brandy barrels. Privateer holds honesty as its promise. They have a purity of purpose that drives them to craft a pure Rum. They never adulterate their Rums with additives including flavorings, glycerols or colorings. Becoming a Rum For All member is easy, affordable and highly beneficial for all Rum producers. For more information on membership, please call 845-895-1922 or email mail@spiritjournal.com. Founded in 1991 by F. Paul Pacult and Sue Woodley, Spirit Journal, Inc. is a leading publisher, events producer and consulting firm to the beverage industry. For more information, please email mail@spiritjournal.com or call 845-895-8910.